Bernie Kenny has spent enough hours, days, weekends and years cooking with fire so that he knows just what is needed to turn in championship quality BBQ and deliciously prepared charcoal cooked fare. That is why he came up with an ingenious, simple and affordable device to do "everything" BBQ at once. Bernie is the inventor, perfector, and proprietor of the Smokinbox, which is incidentally also the name of his championship winning BBQ Team. The Smokinbox is a BBQ grill and a smoker in one. It can even do it simultaneously. According to Bernie, it is easy to clean and very fuel efficient. It has a solution that allows you to cook vegetables, smoke chicken and grill a steak all at the same time, and fast enough so that you can do it after work, during weekdays. 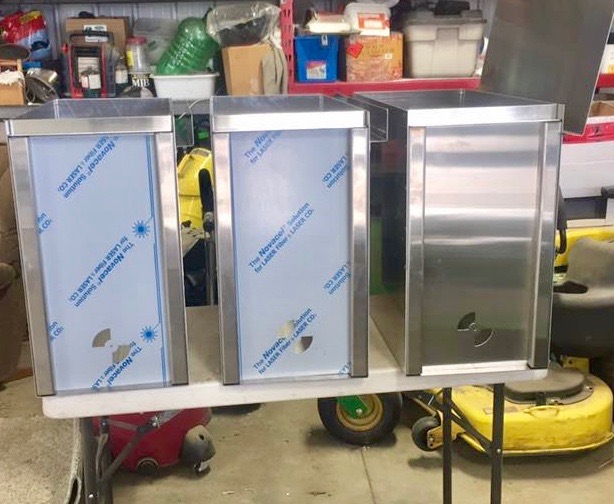 The Smokinbox has been performing well in competitions where competitors use anything from a $150 Weber to the flagship Backwoods Smokers to compete. 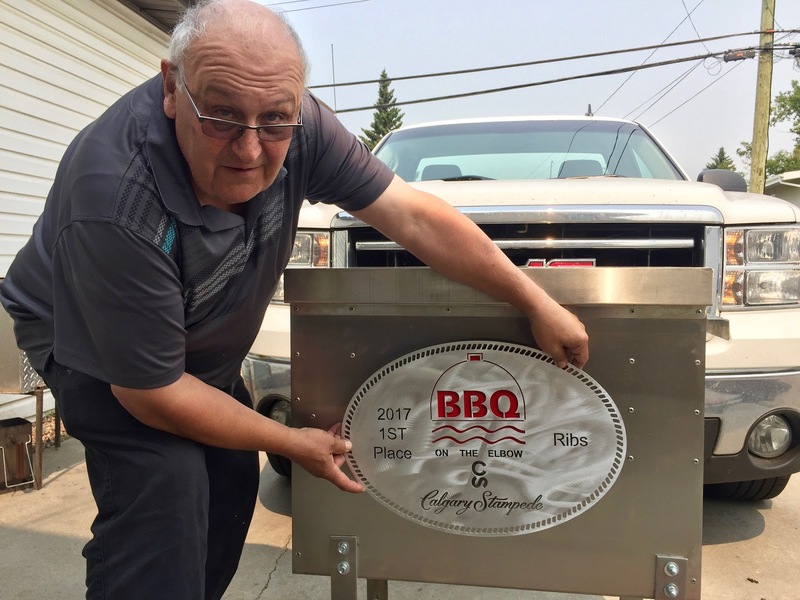 Amongst the competition, it took first place for ribs at North Battleford competition, in Saskatchewan, and a first and second with two different teams at the Calgary Stampede. It took a third place overall in Edmonton's Porkapalooza with 39 teams. 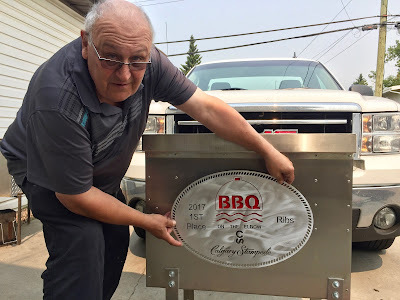 Justifiably, the Smokinbox is turning heads in Canadian BBQ circles for a good reason. Why are we so enthusiastic about the Bernie's Smokinbox? 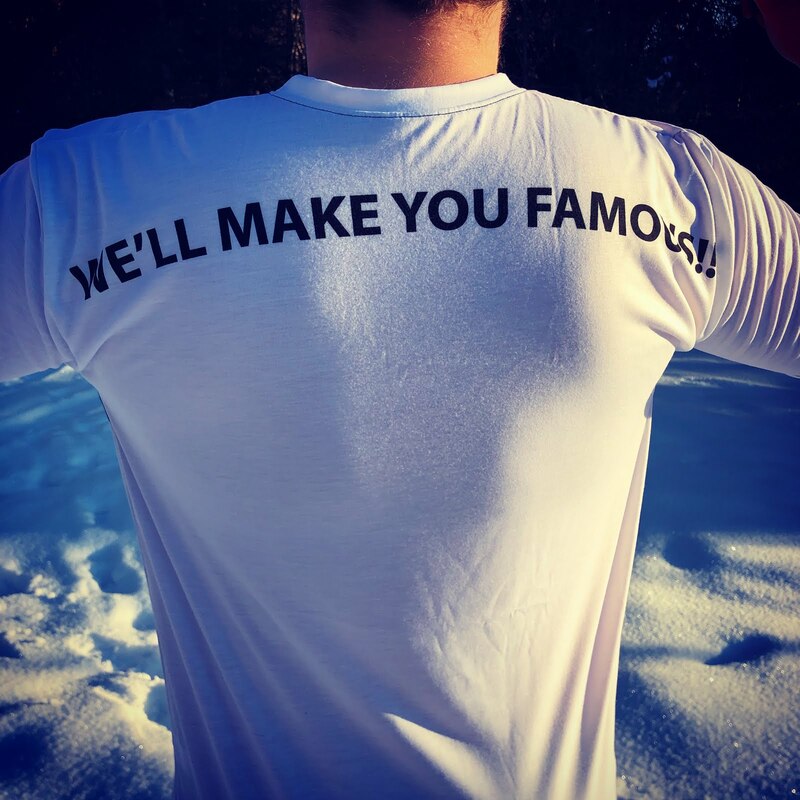 We are interested because it is a product that is passion driven and locally Alberta-made. 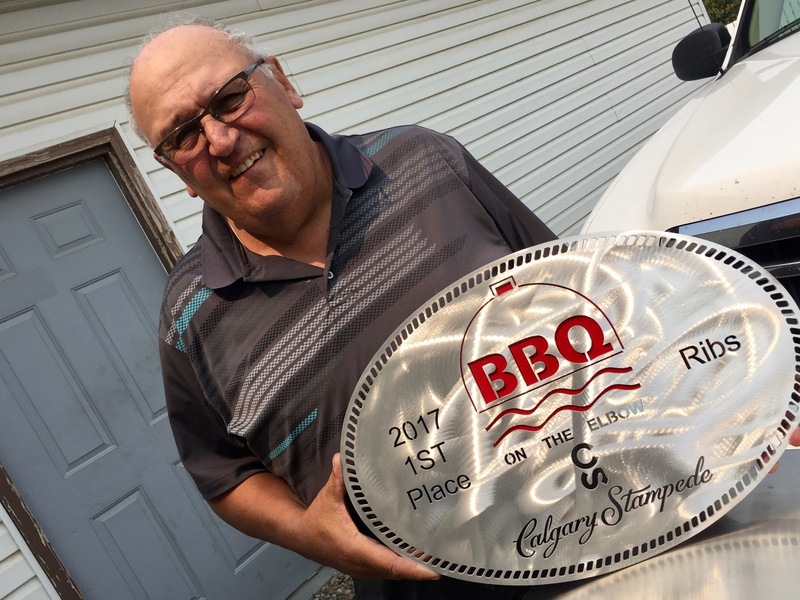 Bernie has spent his whole life contemplating the perfect BBQ cooking solution, refined it, got his friends involved, and now we have a simple, well-made product that stands out. As with all goods developed from a maker's passions, it is likely to last you your lifetime. A further reason we are enthusiastic about the Smokinbox is that we BBQ eight out of the seven days of every week. We know the hassle that goes into using charcoal and wood instead of propane. We are aware of the mess, the frustration, the time it takes, the challenges with temperature control and the risks of too much smoke ruining a good piece of meat (or vegetable). Bernie thought of everything. 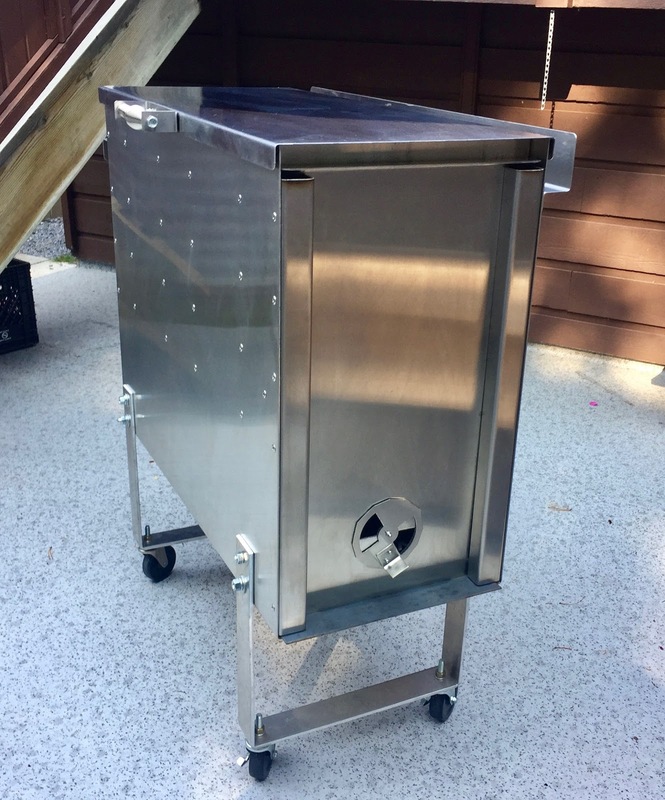 The single biggest factor for us that makes the Smokinbox a favorite is that we can charcoal cook at different temperatures in one device. It means we can do our vegetables at the warmer end. Our low and slow at the lower end, and still grill a steak right over the coals. We don't take part in BBQ competitions. Pitching our experience against novices will be unfair. We are not excited about the Smokinbox because it can help us become BBQ champions. We like it, because, for us, every BBQ or Braai as we call it, needs to be perfect. With the Bernie's Smokinbox it becomes so much easier.